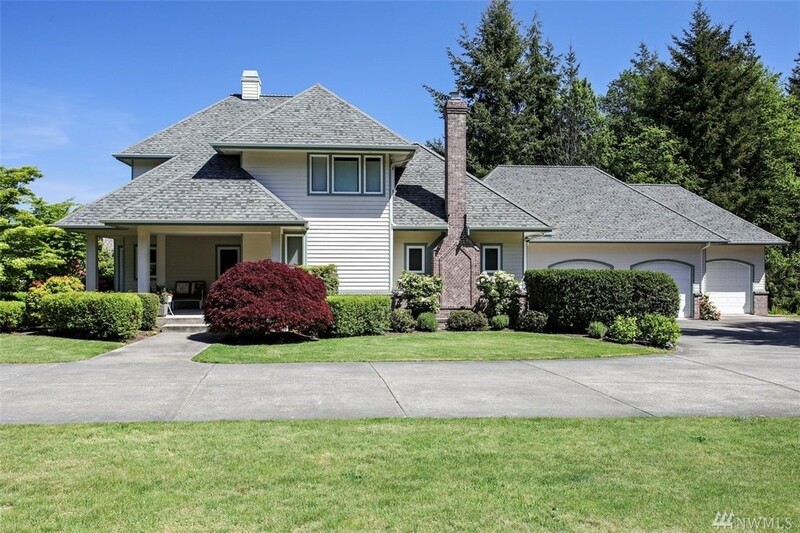 3,971 sq ft; lot: 2.51 acres - MLS# 1408072 Courtesy of John L. Scott, Inc.
Luxurious home on top of Lookout Lane, with end of the road privacy, and view of the Olympics. Beautifully landscaped, with forest and open spaces, on 2.5 acres. Minutes to shopping, schools, and ferries. New high speed fiber optics keeps you connected. Recent upgrades include new high end SS kitchen appliances, gas stove inserts, interior paint, carpet, hardwoods, and lighting. Great layout with main floor bedroom and master suite upstairs. Better than new â come see today!